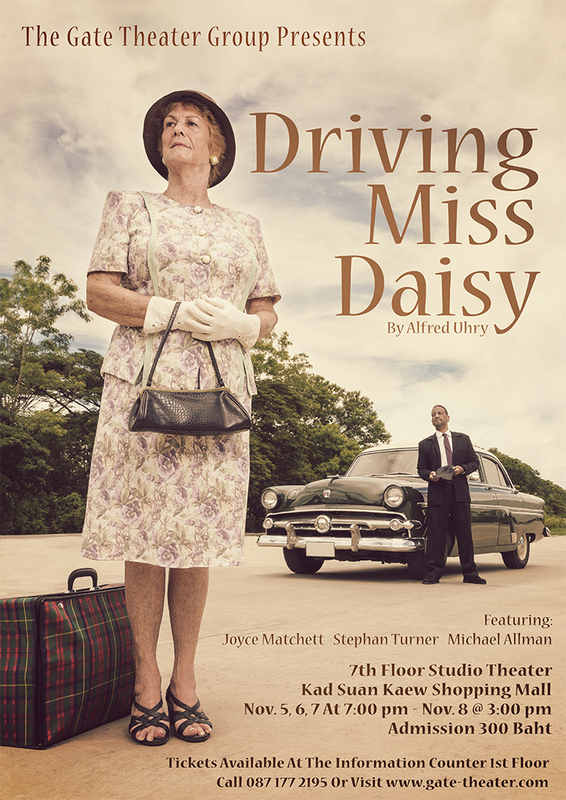 The cast of Driving Miss Daisy with Stephan Turner on the left. Over the years, Stephan and talented performers from all over the world have presented shows that have been thought-provoking, controversial and stimulating. In short, everything a theatrical experience should be! Now, let’s hear from Mr. Turner himself. Stephan, you are originally from Indiana and spent a good deal of time in Chicago perfecting you craft. What were some of the highlights of the roles you played during that period of time? Yes. I was born in Gary Indiana which is 30 minutes east of Chicago. While living and working there, some of my most memorable acting roles were with The Organic Theater Company where I played Aaron in Titus Andronicus and the role of Otero in a stage adaptation of Little Caesar, the 1931 crime film that tells the story of a hoodlum who ascends the ranks of organized crime until he reaches the upper echelons. The film starred Edward G. Robinson and made him a major film star. 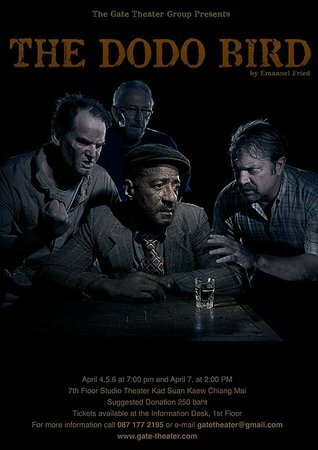 Other roles that I enjoyed playing were Johnny Williams in the Pulitze Prize winning No Place to be Somebody by Charles Gordone, Dodo in The Dodo Bird by Emanual Fried, Polo Pope in A Hatful of Rain by Michael Gazzo and David in The Amen Corner by James Baldwin. You’ve mentioned your father as a role model for your creative interests. Tell me about him. My father was an actor, stage director, producer, playwright, poet, novelist, and screen writer. He attended Chicago’s Goodman School of Drama in the early 60’s which inspired me to audition there for the acting program after spending three years as a technical theater major at Indiana University. ​My earliest memory of my father’s artistic career was helping him put up posters around Gary about a show he was producing in Chicago called Blues For Mister Charlie. My dad would often turn up on daytime television shows such as I Love Lucy, and As The World Turns. He also had recurring roles and bit parts on other television shows like I Spy, The Name of The Game,The Odd Couple, Mission Impossible; the TV series, Sanford and Son, Good Times & The Jefferson’s. He can be seen as the soldier who has his Jeep stolen in the opening moments of the movie M.A.S.H. Other film credits include The Long Goodbye, Party Animal, Watermelon Man, Come Back Charleston Blue and two films that he wrote for comedian Rudy Ray Moore; Dolemite & Dolemite The Human Tornado. He passed away in 2012 at 87 years of age. Why do you think you were drawn to foreign travel and living while many of your peers stayed in the Mid-West? What was different about you? I have always been an adventurous person. Sometimes too much so for my own good! I think one of the best things about moving away from your home country is when you meet new people, they meet the real you. There aren’t many preconceptions, most of the time, about who you are. It’s quite a feeling to throw yourself into the unknown to come to grips with who you really are. It turns out I am who I thought I was; a theater artist. My job hasn’t changed in over 35 years, while my horizons have broadened dramatically. You’ve been in Thailand for several years now. During that time you’ve met and married a Thai lady and started what is now considered the largest and most prestigious English language theater in Northern Thailand, if not in all of S.E. Asia. Tell me about the early days of the theater. How did you get the first production off the ground? Seeing an opportunity and acting on it! Really that’s why The Gate Theater Group started. I would rather have joined an existing English language theater group but there wasn’t one to join. I thought this odd because I’d never been to a major city anyplace in the world that didn’t have at least one theater company doing plays in English, even if it was just occasionally. But that’s the situation I found when I arrive in Chiang Mai. 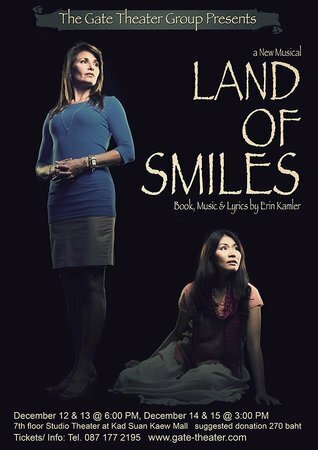 In 2007 I enlisted the help of three English teachers and put on our first production. The money mostly came out of my pocket. We made a small profit which went back into the group and brought the same show back a few months later. We repeated the process until we had enough courage to move into a larger space and take on more challenging projects. Are there any of the shows you’ve produced that stand out to you as a great source of pride, from a production or performance standpoint? All of our productions have been a source of pride for me;every last one of them. 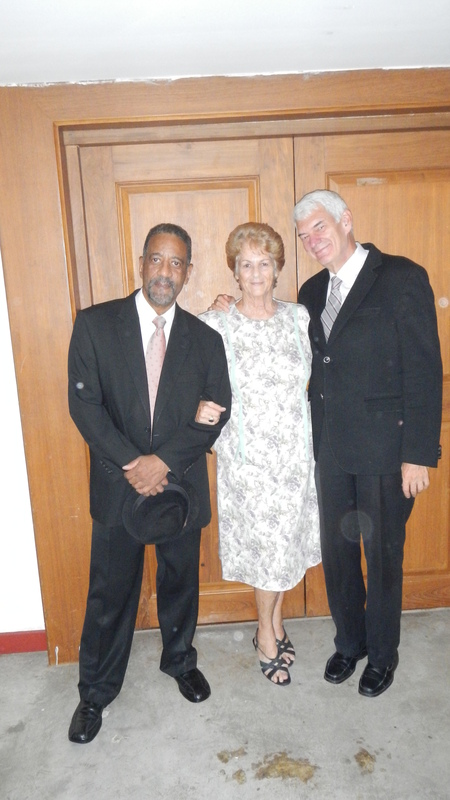 What are the chances of an African American guy born in Gary Indiana, moving to Chiang Mai Thailand and starting a successful English Language theater? I mean how often does that happen? I look at where I am and what the group has accomplished and I think the power of positive thought, plus hard work, really does create success. I wear many hats with The Gate, producer, director, scenic artist and sometime ticket seller. Because of my technical theater background, I have been able to create theater in nontraditional settings as well as traditional theater spaces without having to ask someone how to go about the business of getting things done. I started directing plays in the late 70’s after watching other directors and wanting to do shows that weren’t being done. However, my first love is acting and whenever I get the chance to be on stage instead of behind the scenes is always enjoyable for me. In Chiang Mai I have appeared in The Gin Game, The Dodo Bird & Driving Miss Daisy. All memorable experiences. As I recall, you once told me that you don’t consider yourself an expat and don’t use that term. How would you describe your status to someone in the U.S. reading this right now? I am employed in Thailand as a Theater Arts Teacher and that is what takes up the majority of my time. I run The Gate Theater which is based in the US. I spend a lot of time here. However, my home is the United States. I haven’t given up my citizenship. I still file my income tax forms every year and I go back to perform with The Gate in Northwest Indiana and the Chicago area. It’s really like being on a very long vacation. To me, the term expat sounds like you’ve left your country for good. That’s not the case for me. I’ll never forget where I came from and I will always go back. What are some of the best things about living in a foreign country compared to the U.S., especially here in Thailand? No aggressive police. On the rare occasion that I hear a siren I don’t immediately get a death grip on the steering wheel and wonder if I’m about to be pulled over. One time I did get pulled over for speeding on the highway and the policemen didn’t even want to talk to me. He thought that I was a foreigner and didn’t want to try to communicate in English. So he talked to my wife and gave her the ticket. It cost the equivalent of $6 which we paid and went on our way. If I had been in the U.S., it would have been a huge fine, points on my record and a court visit. Thai people are generally friendly and most of the time, non-aggressive. They also go out of their way for foreigners on a regular basis, and generally accept or ignore our sometimes idiotic behavior. The food here is cheap, tasty and varied and comparatively healthy. You can eat a delicious meal with a couple of bottles of beer for $7. The weather is warm three quarters of the year. Then in December to March we may get to 55 degrees at night which is considered quite cold here. It’s the complete opposite of Chicago’s cold dark, miserable winters. I don’t care if I never see snow again! Thailand is also a great starting point for traveling to the rest of Asia. There are many discount flights to the surrounding countries. China, Japan, and Vietnam are all short flights from here. What advice would you give to an American currently thinking about living abroad for an extensive period of time? Wherever you go, there you are! If you are looking to change your life simply by leaving the US it’s not going to work. If you had serious hangups, emotional problems, or addictions in the US, when you get off the plane in Thailand those same problems will be right with you. Be open to change and tolerant of other people and the culture. Know some of the language, just the basics like hello, thank you, how much is this. Then try to learn more of the language as soon as you can. Having something constructive to do that interests you is very important. Read up on the country, its history, visa and immigration laws so you don’t get caught in an unfortunate situation. Ignorance of the law is no excuse here as well. Where do you see yourself and the Gate Theater in the next decade? 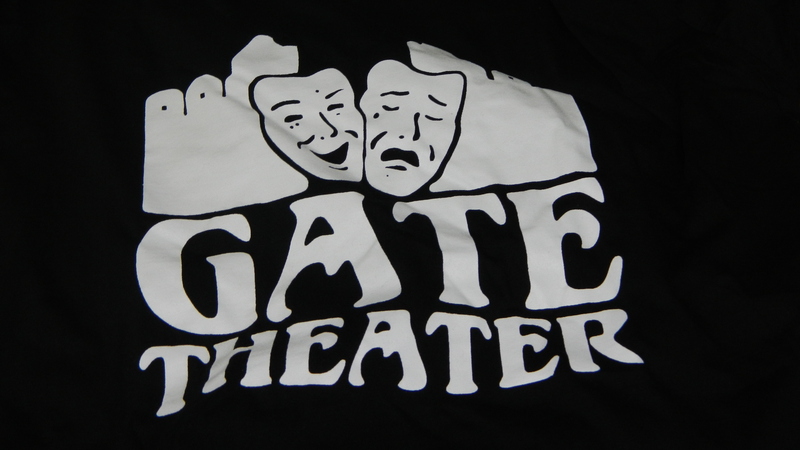 I’d like The Gate to be a self supporting theater organization with a solid reputation for excellent English language theater productions. My next step is to open The Chiang Mai Gate Stage Acting Studio in order to cultivate new talent and form the first professional English Language acting company in Northern Thailand. Where or how can people donate to your creative mission here in Chiang Mai? Are you a registered non-profit in the U.S.? Thanks, Stephan. You’ve already made an indelible mark on the performing arts on two continents. With your vision, drive and talent, I see nothing but continued success and growth over the next decade. Thanks for visiting with me on New Nations: The Expat Experience. Very interesting article and a new career for Stephen Browning!! Stephen (and Stephan). Wow, what a delightful read that was. I’ve always had an interest in theater so I relished that aspect. But I think that this blog is a powerful education for people in the US who are uninformed about “expat”. Thank you to you both! 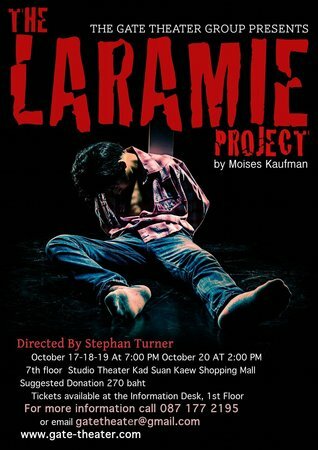 Sure wish I could get on a plane and see Chang Mai and Gate Theater’s next production. Thanks for educating and entertaining me at the same time! Mr. Browning you are genetically programmed to blog. Keep it up. Bravo! Encore. Mr. Turner, thank you for your erudite and informative responses. Break a leg!